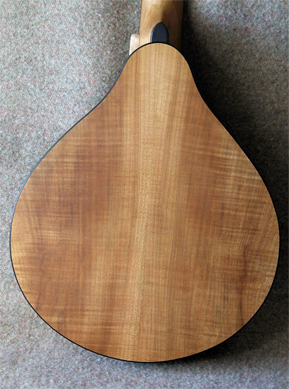 This is a short scale (20") cittern in maple with western red cedar top. 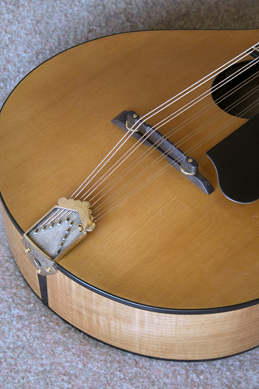 It's strung with d'Addario flat-wound bronze mandolin strings (EF-76) tuned GDADA, giving a smooth powerful sound with clean attack. 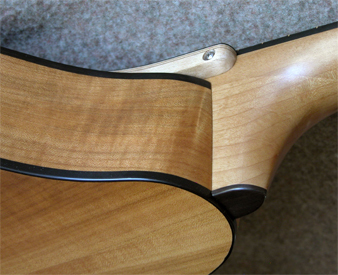 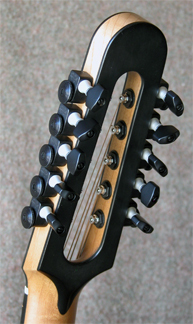 The open head stock is fitted with Sperzel trim-lok tuners for easy stringing in the confined space. 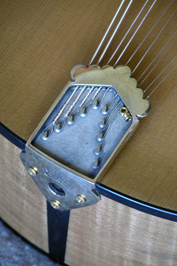 A cast bronze Allen tailpiece accepts either loop end or ball end strings. 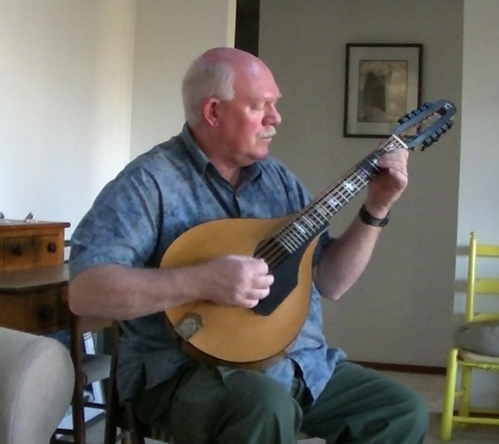 A versatile instrument for melody or accompaniment, with all my usual construction features.